There isn't anything quite like being in a blossoming apple orchard. The smell of budding flowers, the soft colors, the feeling of life just brimming from each branch. The season only lasts for such a short time - less than two weeks in full bloom - but it has to be one of my favorite places to photograph families. This beautiful family is no exception. Not sure who had more fun - me or the kids! Running through the trees, giggling under the branches, and tickling one another along with silly name games. 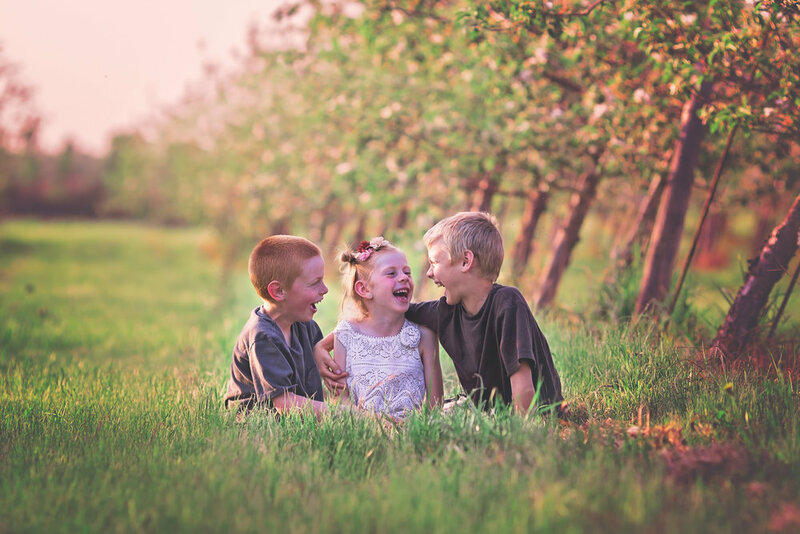 The one hour family photography session just outside of Belleville was a hit. 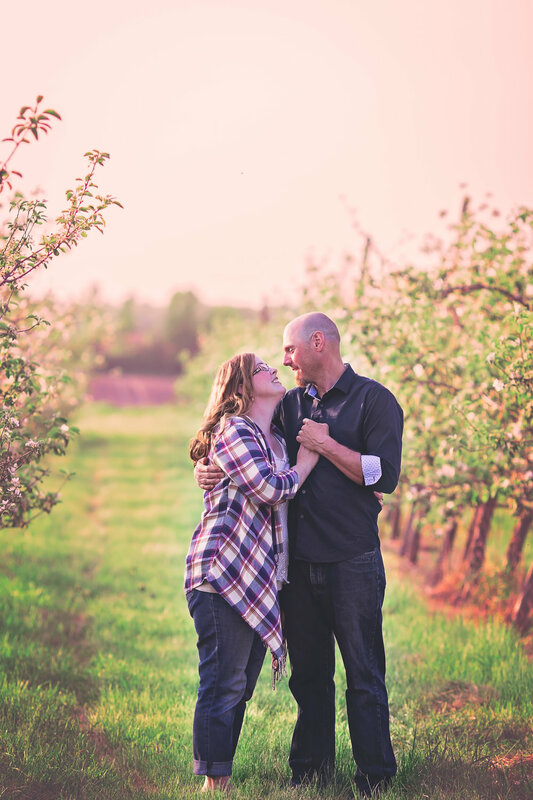 And the images - oh the images of this sweet family - made me want to stay up all night just to finish my editing and show mom and dad the connection and love captured that evening. I'm sure you will see what I mean!